Home News Honda to surpass Renault power in Russia? Honda to surpass Renault power in Russia? Honda are reportedly ready to roll out a significant engine upgrade in Russia which would produce more power than Renault. According to analysis from Auto Motor und Sport, based on the latest GPS data, the current Honda engine produces 715 horsepower which is 15 fewer than what the Renault power unit can generate. The Japanese engine manufacturer had pinpointed the United States Grand Prix in October to unveil their new Spec-3 engine – but Dutch outlet Ziggo Sport believe they could be in a position to introduce the new power unit two races earlier than planned. Auto Motor und Sport reckon Honda’s upgraded engine would boost them to 750HP and take them 20HP ahead of Renault. The report claims Ferrari have the most powerful engine with 790HP, with Mercedes operating at 780HP. 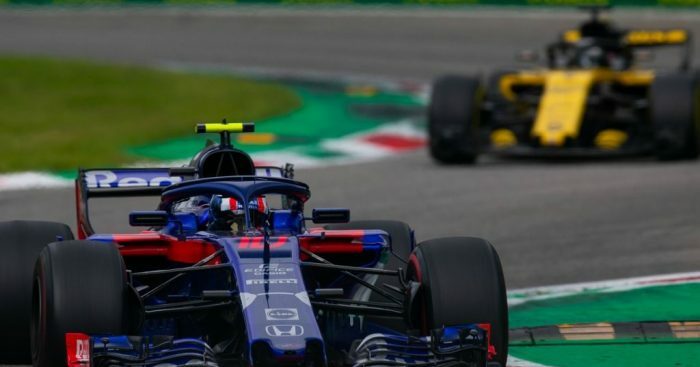 If Russia is the place for Toro Rosso to fit a new, upgraded power unit, then Pierre Gasly and Brendon Hartley will be hit with engine penalties after already surpassing their use of power unit elements for the 2018 season before penalties are introduced.